Sow doser – feed doser for sows. It is important to maintain sows in good condition during the lactation period. How feed is dispensed plays a major role: not just for the sows, but also for the piglets. 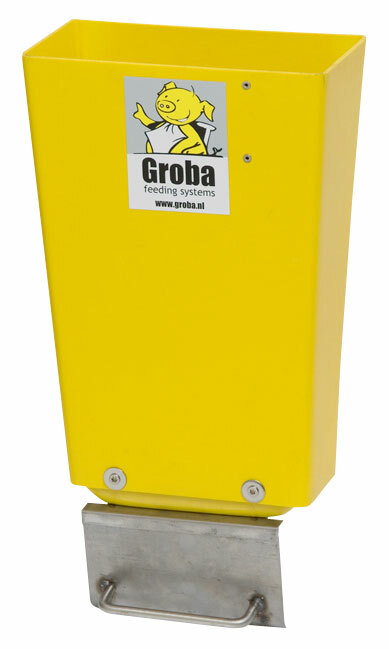 With the Groba Sow Doser you know you are feeding your animals optimally. The sow doser comprises a seamless supply hopper made from specially produced plastic that fits onto virtually all types of farrowing pen. 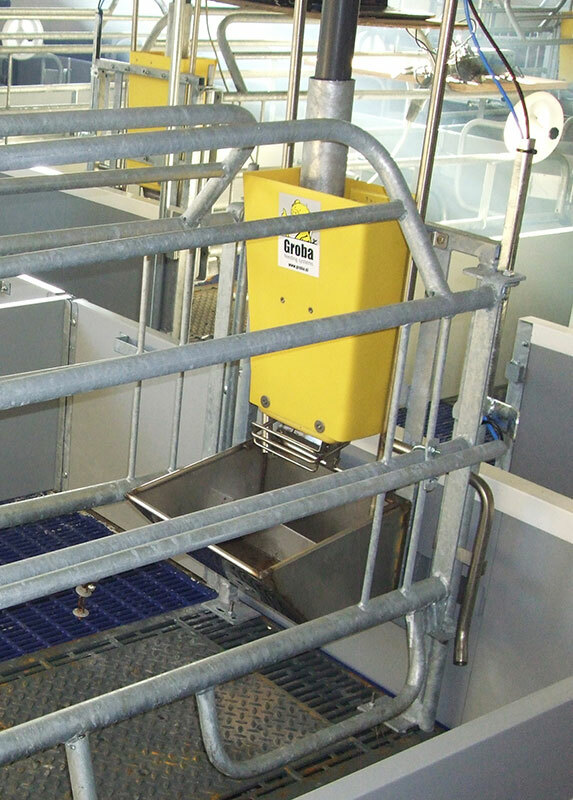 The sow doser is easy to clean and available in various models. The feed doser can be mounted inside and outside the farrowing pen. Various widths are available for mounting outside the farrowing pen. The stainless steel feed doser features highly accurate, eight-position adjustment. The sows have access to small rations of fresh feed all day long. This ensures a better feed intake and there is less acidic and wasted feed. This calms the sows – and you will notice the improvement as soon as you enter the farrowing section. 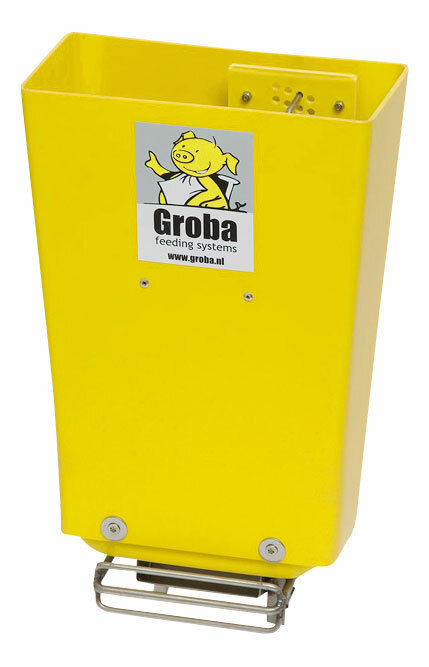 Other Groba products that may be of interest to you: Grodrinker, Sow Feeder or our Stalko dry feeders. system is available in different widths. with an accurate, 8-position adjustment.